Equipped with advanced High-Definition (HD) video conversion technology, Xilisoft HD Video Converter can easily convert HD video formats such as AVCHD (mts, m2ts), H.264/AVC, H.265/HEVC, MKV, MPEG-2 (ts), DivX, HD WMV, MPEG-4 and Quick Time. Sit back and let Xilisoft HD Converter do the job for you, convert from HD videos to Standard-Definition (SD), or even upgrade an SD video to HD! With auto detection of multi-core CPU, Xilisoft HD Video Converter will distribute tasks on multi-core automatically to get high video conversion speed. Support HD videos like AVCHD (mts, m2ts), MKV, HD ASF, HD AVI, H.264/AVC, H.265/HEVC, HD Quick Time, HD MPEG-4, and HD WMV, and general videos and audios like AVI, MPEG, WMV, MP4, 3GP, FLV, RM, MOV, MP3, WMA and AAC. To get wonderful Hollywood movie scenes, the HD converter can capture pictures from videos by setting duration and capture interval, and save them as JPG, GIF, BMP, PNG files. One step to convert and transfer HD videos to iPad, iPad2, iPhone4, iPod, PSP and even iTunes, easy and fast. Support NVIDIA CUDA & ATI Stream encoding technology to increase HD video encoding speed up to 5X. All formats have been classified by device for quick search and the HD converter assembles HD video formats in a group for you to choose conveniently. Diverse parameters for video, audio and picture profiles are classified for easy navigation and can be easily and freely customized for both novices and advanced users. You can save the profile whose parameters have been customized for future use. With Xilisoft HD Video Converter, you can add many profiles in multiple formats to one source for simultaneous output. It's fast and convenient to get kinds of profiles at one time. 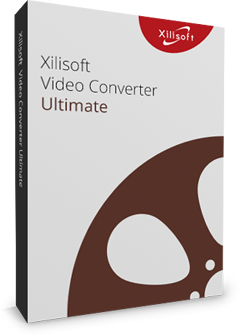 Xilisoft HD Video Converter supports converting video with any file size you need by entering the value of the file size in the Bitrate Calculator. Any segment of one video can be converted by setting start time and duration. Or split file into several files by customizing file size or split time with Xilisoft HD Video Converter. 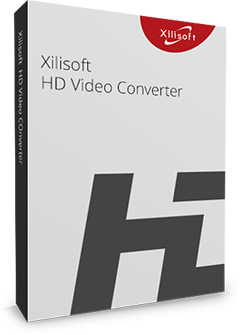 Xilisoft HD Video Converter supports running the HD converter in the background to save more time and space. Automatically shutdown action among several after done actions: exit, hibernate and standby lets you just sit and have a cup of coffee. The MTS/M2TS/TS video converter supports multithreading and batch file conversion to convert multiple files at one time to cut back on the conversion time. Allows you to manage your system power in this HD video converter. Support multiple languages: German, Chinese, English, Japanese, French and Spanish. General 3GP support mobile phone, BlackBerry, etc. Windows mobile devices: Nokia Lumia 920, Nokia Lumia 820, HTC Windows Phone 8X, HTC Radar 4G, Samsung Focus S, Pocket PC, Dell Axim X51, HP iPaq hw6500 series, etc.